Wesleyan faculty frequently publish articles based on their scholarship in The Conversation US, a nonprofit news organization with the tagline, “Academic rigor, journalistic flair.” In a recent article, Professor of Government Giulio Gallarotti debunks the myth that Trump’s protectionist tendencies fly in the face of America’s tradition of free trade. 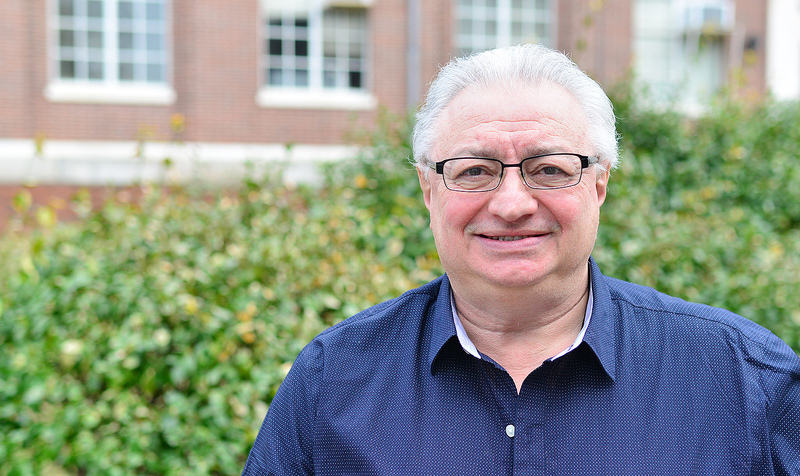 Gallarotti is also co-chair of the College of Social Studies and professor of environmental studies. Read his bio in The Conversation. Absolutely not. The fact is the U.S. has never been a truly free trade country—one with virtually no barriers to trade with other nations—as some people seem to think. The idea that the U.S. ever was is a myth. This is among the topics I’ve been exploring for an upcoming book, titled “The Rise of the Guardian State.” My research shows the reason both Republicans and Democrats have pursued protectionist policies—despite their rhetoric—is part of the fabric of the American democratic political process. Even the pro–free trade Republican administrations of Presidents Ronald Reagan and George W. Bush promoted significant barriers to trade. For example, Reagan pushed Japan to unilaterally limit the number of automobiles it exported to the U.S., while Bush erected tariffs against foreign steel. Among major nations in the post–World War II period, the U.S. has been closest to the free trade pole. But as noted above, with a plethora of tariffs and quotas on foreign goods, the U.S. is still some distance away from late 19th-century Britain’s free trading ways. While the benefits of freer trade are spread over society as a whole in the form of rising real incomes and access to superior products, some localities experience costs that severely plague specific groups. The “destructive” part of “creative destruction”—coined by political economist Joseph Schumpeter to characterize capitalist competition—is synonymous with industries failing and their workers losing jobs.